This time, while we were within the Cour Napoleon of the former Palais du Louvre, we were admiring the facade of the Aile Mollien and took these high definition photos of a statue dedicated to Henri d'Aguesseau, which is located on the first level with other statues of famous people in French history. 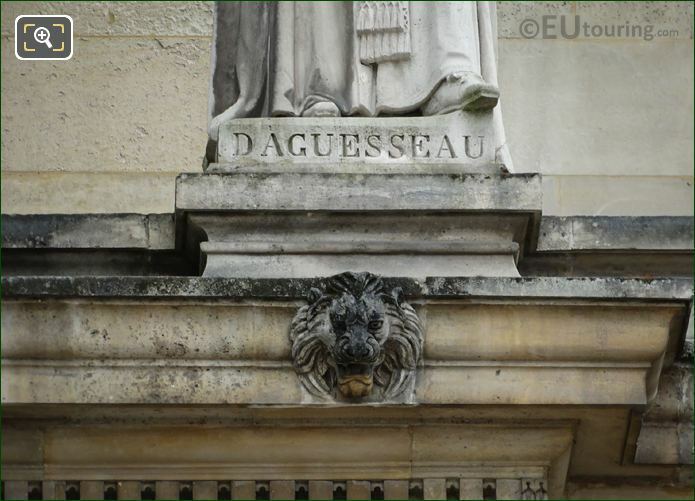 Now this particular statue of Henri Francois d'Aguesseau is the very first one on the left as you are looking at the Aile Mollien facade, which is right next to the Pavillon Denon, and this was produced by the French sculptor Louis Denis Caillouette, who was commissioned for numerous different works in Paris. 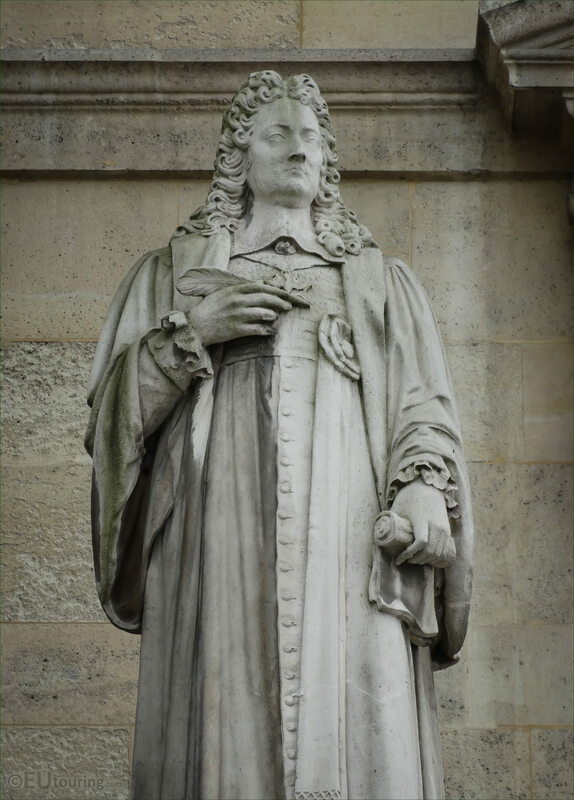 In this HD photo you can see a close view of the stone statue sculpted by Louis Denis Caillouette who was born in Paris in the May of 1790 and became a French sculptor, receiving numerous commissions including some busts for Chateau de Versailles, a marble statue of Marie de Medici and stone allegories for Place de la Concorde to name a few. 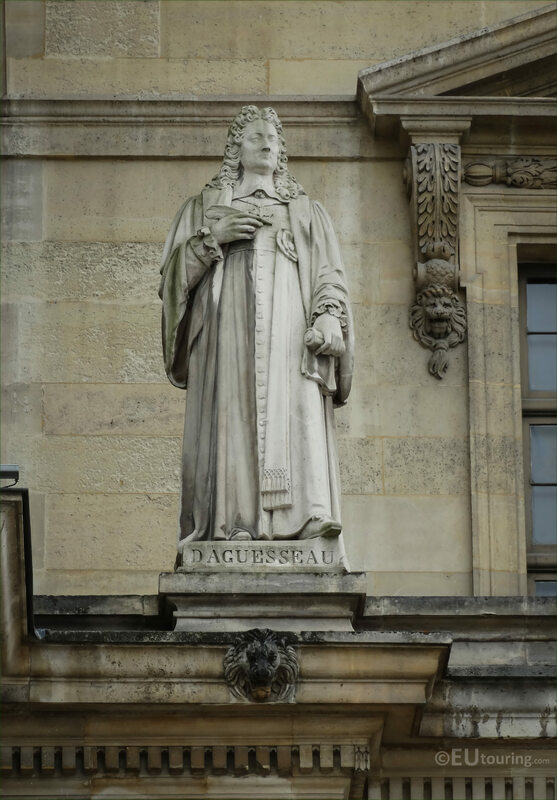 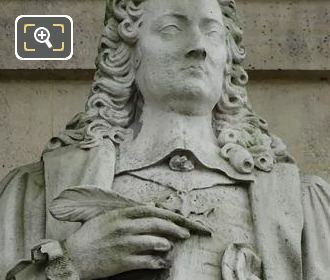 But getting back to this particular stone statue, as you can tell from the close up of the plaque at its base, this is dedicated to Henri Francois d'Aguesseau, who was born in the November of 1668 to a family of Magistrates, and he became the Chancellor of France on three different occasions, and Voltaire even proclaimed d'Aguesseau the most learned magistrate France ever possessed.